The area of what is now Northern China had been historically known as the melting pot of different cultures with amalgamation of both nomadic and sedentary ideals. 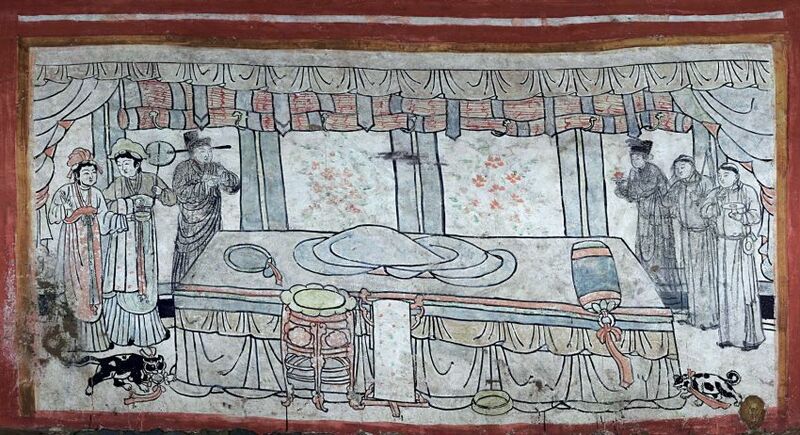 And now, archaeologists have stumbled across a fascinating tomb in Datong City (in northern Shanxi province), which showcases a flurry of artworks, including murals and paintings of stars, from a period of around 11th century AD. Oddly enough, in spite of the glorious visual scope inside the tomb, no physical remains have been found of the person who had been buried here a 1,000 years ago. 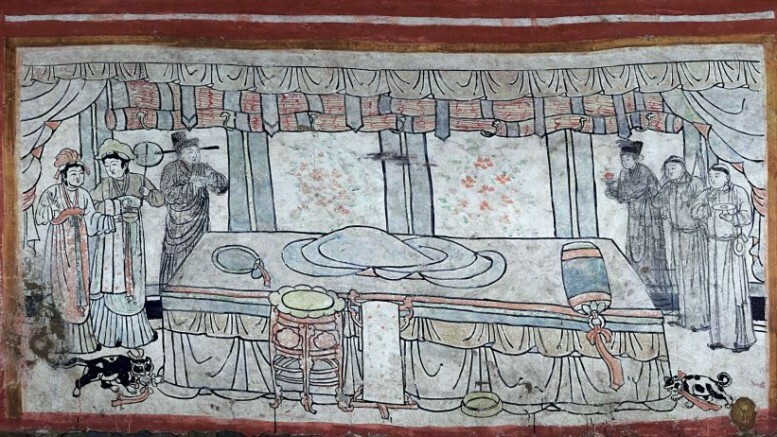 In any case, judging by the decorative patterns inside the tomb, the historians postulate that the occupant was a high-ranging Han Chinese official in the court of the Liao dynasty. If proven right, this will be a very interesting find, since the Liao culture, mainly fueled by the nomadic Khitan people, was known to be quite different to the southern Han Chinese culture. These Khitans originally came from Mongolia and Manchuria, and at their greatest extent, the Liao emperors had dominion over not only Northern China, but also parts of Russian Far East, Northern Korea and Mongolia – all of these conquests being made 100 years before Genghis Khan. In fact, their nomadic ideals were known to clash with the sedentary scope of Han China, which was previously ruled by the Tang dynasty. This led to extended periods of succession crises and conflicts, with the emperor themselves favoring primogeniture, while the noble favoring the more ‘democratic’ nomadic system of succession – that entailed choosing the most powerful candidate. This ultimately paved the way for two parallel governments, with the northern Liao territories governed by traditional Khitan principles, and the southern Chinese provinces administered directly by the emperors.